Multiscreen marketing is an engagement strategy that brands employ to reach audiences across multiple platforms – often at the same time. It keeps the storytelling consistent and complementary while focusing and delivering the message based on the features of individual platforms involved. Think about TV ads or content that includes a link to the brand's website. Or Google display ads promoting a brand's mobile app or social media presence on Facebook or Twitter. 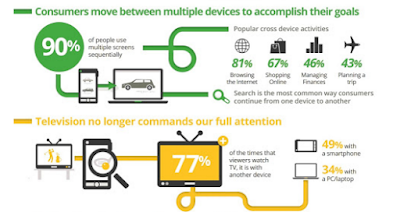 Multiscreen marketing isn't just about tv and another device alone. 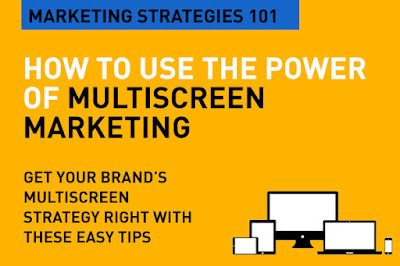 MillwardBrown tells us that multiscreen users divert to a second screen – or use both at the same time – out of boredom, habit, and a desire to be more productive and in touch. 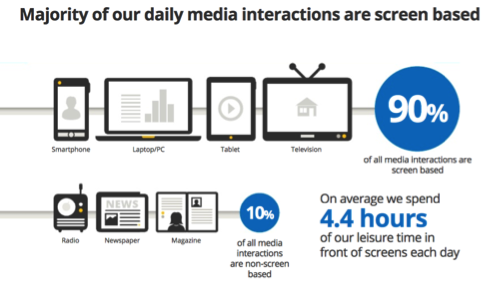 Users spend two out of seven-plus hours of daily screen time eying a digital device while watching TV. The research found those multiscreen consumers most receptive to micro-video, interactive TV ads, and TV ads promoting mobile apps, Facebook pages, and brand websites. Earlier on, the ad industry jumped at the idea of an increase in consumer engagement across multiple screens. This was a broadening of horizons beyond TV (the ‘first screen’ once). We talked about the shift from monologue advertising (lean back TV) to dialogue and lean forward engagement. Experience, participation, multi-platform engagement became buzzwords. What we blinked on was the fact that the proliferation of screens today fuels fragmentation – it causes consumer ADD – Attention Deficit Disorder. And we were caught dozing. Yes, it’s much easier to engage and hold attention in a conversation than in a monologue, but with some unforeseen pattern shifts, multi-screen engagement becomes a challenge. Consumer time and attention is getting lower as we move from traditional to digital (think banner blindness, low click through rates). Now as ‘digital’ is increasingly via mobile, small screens offer even smaller real estate for those of us planning to build engagement on. Here's how we get mobile strategy right, in the first place. And mobile marketing, in particular is all about consumer intent. No surprise really, as 60 per cent of smartphone users access social media on their devices. And the smartphone is kick-starting many of our daily activities like search, browsing, shopping online, managing finances, planning travel, and of course, social networking. And here in the region where smartphone penetration is amongst the highest in the world, this paradigm shift has huge impact. Start with analytics – first know about your consumer, about the audience you want to engage. The best way to start a well planned multiscreen marketing strategy is to have a grasp on what your consumer is all about. Customer or audience insight is key. Effective audience targeting can be achieved by using analytics that converts data from and about usage on any device to help brands increase their understanding of their audience and anticipate their next steps. And resolve what their audeinces are looking for at each stage, across each screen. Be screen-neutral in your thinking at first. Don't assume that tv is your starting point. Old school "multiscreen strategy" builds from TV as its base and presumes different objectives for each screen after that. 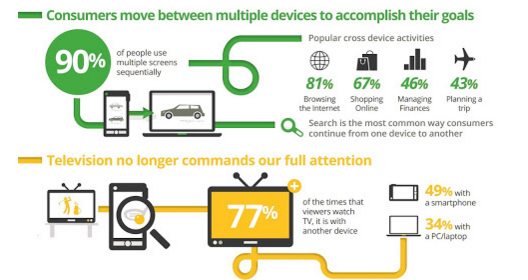 Today, multiscreen can start anywhere – and it very often starts with Search. First of all, you just have to be there for your audience in Search. How you do that across screens is secondary. Remember that today's consumer jumps from screen to screen (sometimes at the same time) to achieve their goals. Remember that mobile is really good to create and drive buzz around your main message. Mobile is at hand, it is in the here and now. It can be used to add value, to empower and enable beyond your first main message – the main story. As vertical screen usage rises, video-told stories have to be created separately for this different orientation. In online environments, ads autoplay often on silent mode – the creative needs to have prominent branding in the first 0-5 seconds before users have the option to skip. 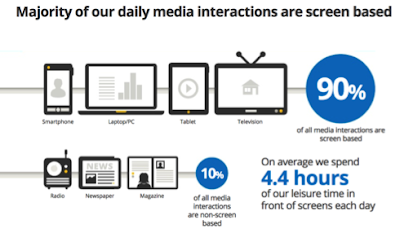 The tv watching experience is getting richer, better because of online? Rather than killing off tv in the living room, digital channels are adding to it, and broadening the perspective. Just adding a #Brandname at the end of your spot is not the way to go. The #whatever should be about the campaign, about the call to action, and about what you want the target audience to do. Make it seamless. Make it connected and recognizable as part of a single great story. Base it on insight and information about your audience. Most importantly add value at every intersection. That's the basics of multiscreen marketing. That's Digital Marketing 101. Multiscreen marketing is today an absolute must for every company because the target audience is so scattered across devices and, as you mention, often at the same time. When they see a consistent message across channels and across the various screens they use through their journey, it becomes a powerful way for companies to reach out and stay relevant. your Article is this very helpful thanks for sharing. Keep on sharing.